Here at Moogly Headquarters, I’m gearing up for the Knit and Crochet Show in Manchester, New Hampshire, being held in just a couple weeks. 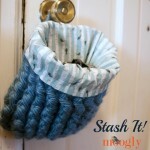 And it’s inspired two new crochet patterns! Introducing the Manchester Handbag and Sunglasses Case! This post has the pattern for the Sunglasses Case. 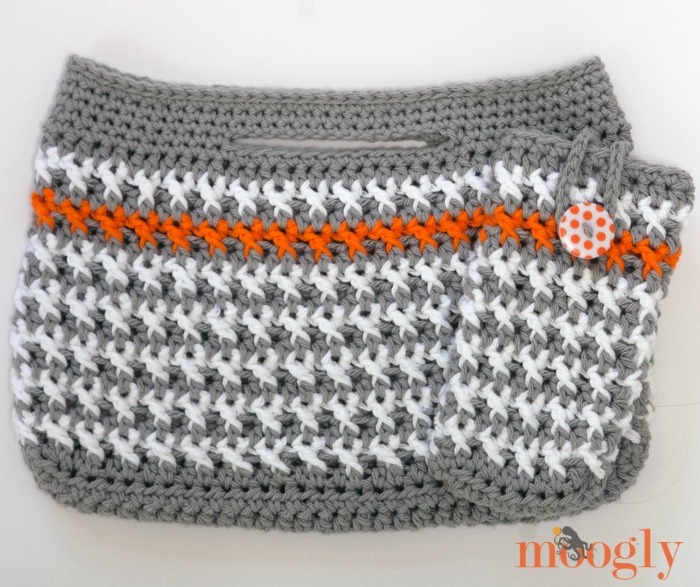 CLICK HERE to go to the pattern for the matching Handbag! They make a great set – but of course you can pick and choose! NOTE: You can carry the yarn along the inside of the case rather than cutting it after each row, if desired. OPTIONAL: Add a button and ch st loop if desired to close the top of the pouch. You could also use this loop and button to hang the Sunglasses Case from the handle of another purse! And that’s it for the Manchester Sunglasses Case! It’s a great way to give your sunglasses a little added protection – so they can continue to protect your eyes from sun damage! I hope you enjoy making it. 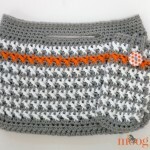 And be sure to CLICK HERE to get the pattern for the matching Manchester Handbag! Written pattern and photos copyright Tamara Kelly 2014. You are welcome to make finished items from this pattern to sell – see the About page for details. To print this pattern for personal use, please use the Print Friendly button below – there’s a tutorial HERE if needed. Tamara, I really like the purse and sunglasses case and thank you for the patterns. But….where di you get that neat yarn holder…I’d love to buy one of those someplace, rather than plastic eyesores that you can get other places. That’s pretty classy. Thank you for the lovely patterns. I am going to try it to make a cover for my tablet. 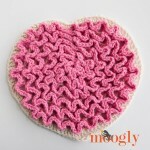 I love the stitch pattern , the video was very helpful. 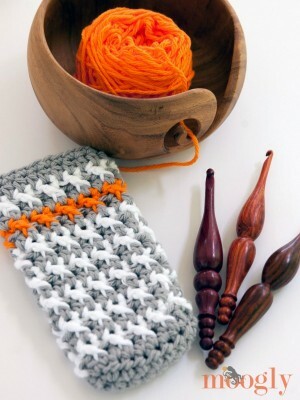 I had to watch it several times as I was busy watching the beautiful Furls crochet hook! Is that the purpleheart one? That’s the next hook on my Furls wish list. Yes! 😀 It’s my newest, and I love it! 😀 Thank you so much Laura! Hi! Beautiful glasses case! What are the dimensions? I am now making this cute sunglass bag and found problem at row 5.I don’t understand.It’s my weakness about language.Can you please kindly explain me back? Wow, I love it ? Are the stitches using both loops or the back loop only. Thank you. Love the purse The Manchester Handbag.